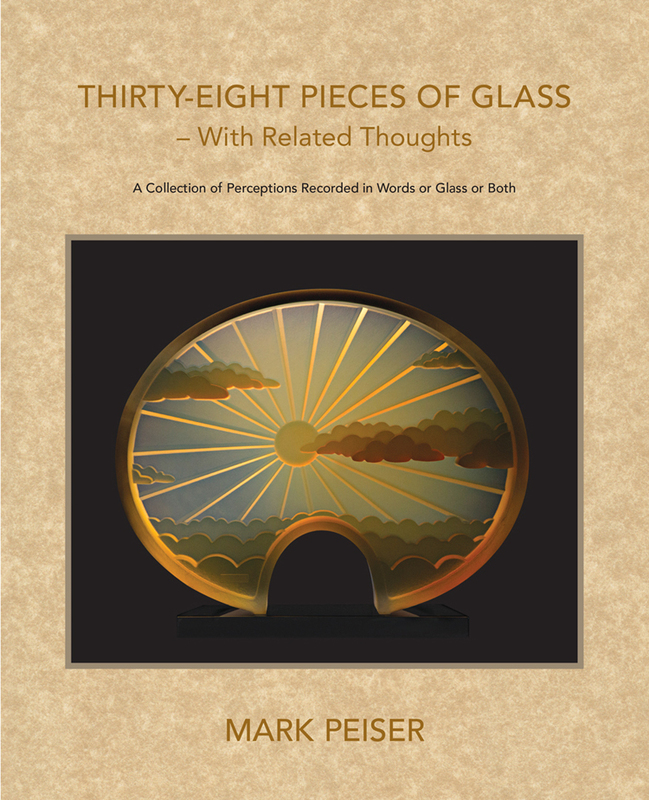 This gorgeous 96 page book pairs Peiser’s glass with his brief writings of resonance. 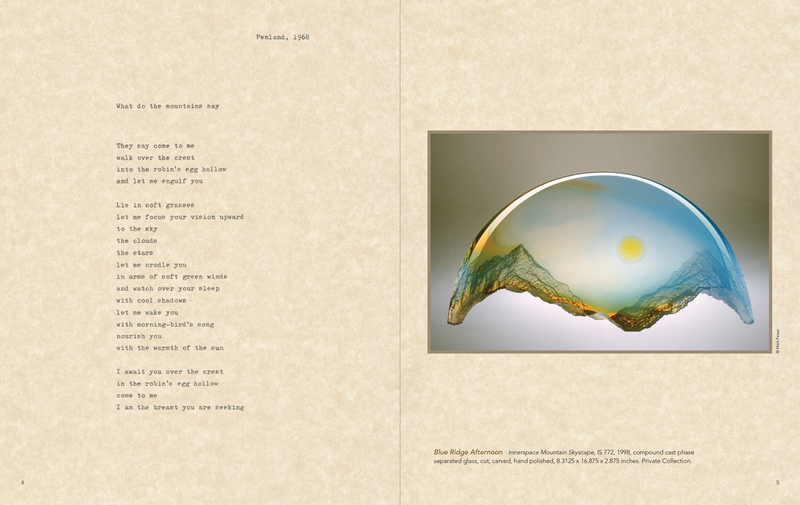 All images are varnished in high gloss and placed on 120# faux parchment paper stock accompanied by text reproduced from original hand-typed pages. 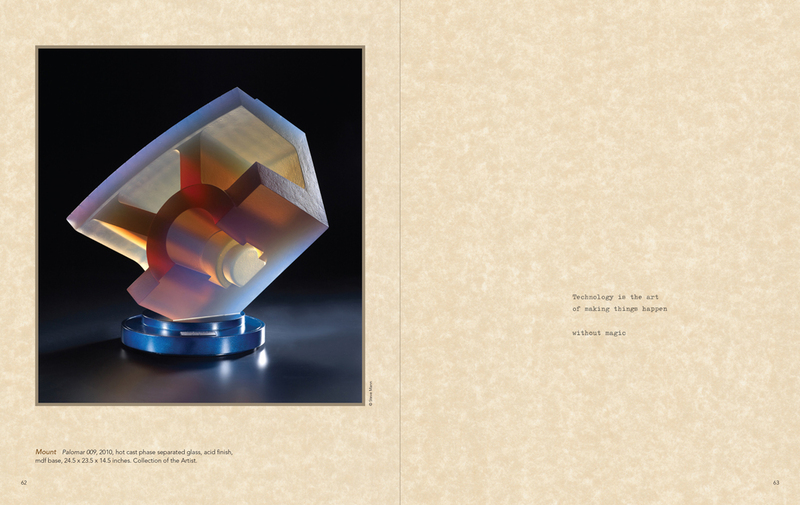 The book measures 9.5 x 7.25 x 1 inches and is individually bound by hand using a special layflat binding in a hard cover. Designed and printed in North Carolina.